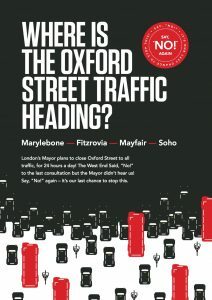 WESTMINSTER Council has shown common sense at last in rejecting the Mayor of London’s and Transport for London’s extreme plan to pedestrianise Oxford Street and disenfranchise residents and regular commuters. 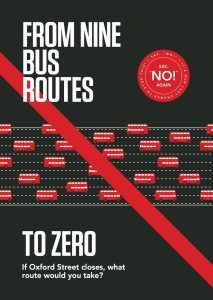 This was both a vanity exercise by the Mayor as well as a cost-cutting one, in which he intended to further cut bus numbers, close down routes, and shorten other routes. Our side streets and attractive squares would have become “bus stands”. 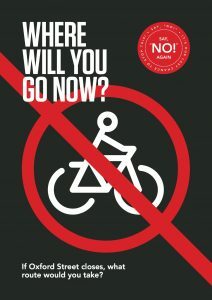 Westminster Council now needs to follow up on its “pledges” of better traffic control and pollution in Oxford Street as well as removing pedicabs, noisy buskers and beggars. Pedestrianisation is not a social benefit. It would turn the residential street into a tourist walkway and disenfranchise many locals and regular commuters. With the expediential growth of souvenir shops selling fridge magnets and flags, Oxford Street is looking less and less like an “international shopping destination” and more and more like an austerity-damaged high street. Change is needed but concreting it over with a few benches and garden centre trees is not the answer.